Experience incredible Clearwater fishing adventures! Clearwater, Florida has amazing beaches, an abundance of wildlife, and AMAZING fishing! 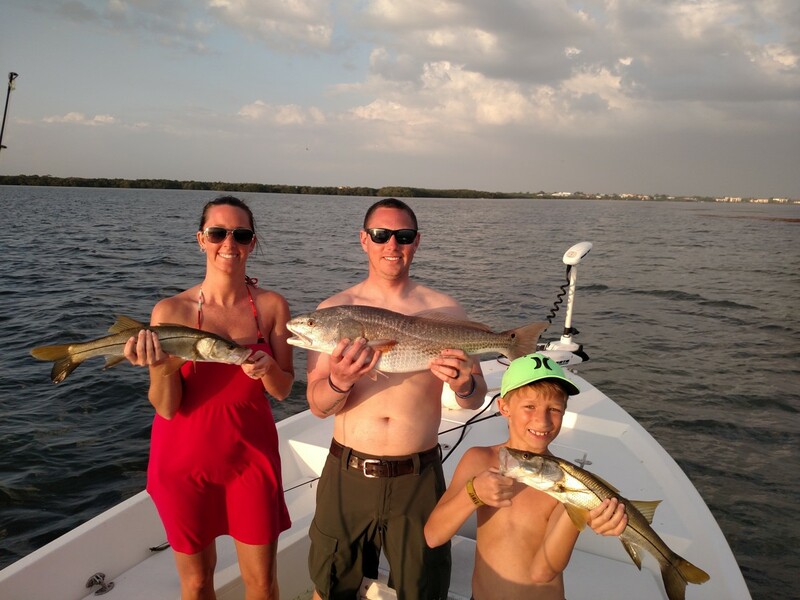 Redfish, snook, and trout all thrive here in Clearwater and we love taking our clients fishing here to enjoy all that Clearwater has to offer. Clearwater also has tremendous tarpon fishing. The many miles of beaches and the numerous passes between the islands make for perfect habitat for outstanding tarpon fishing adventures. Bring the whole family to Clearwater. Enjoy the beaches, the nearby attractions, but especially, treat yourself to an inshore fishing charter in the heart of some of Florida’s most productive fishing waters. Clearwater’s popular inshore game fish. Chase the inshore slam in the heart of the Suncoast of Florida! Clearwater offers amazing fishing opportunities! 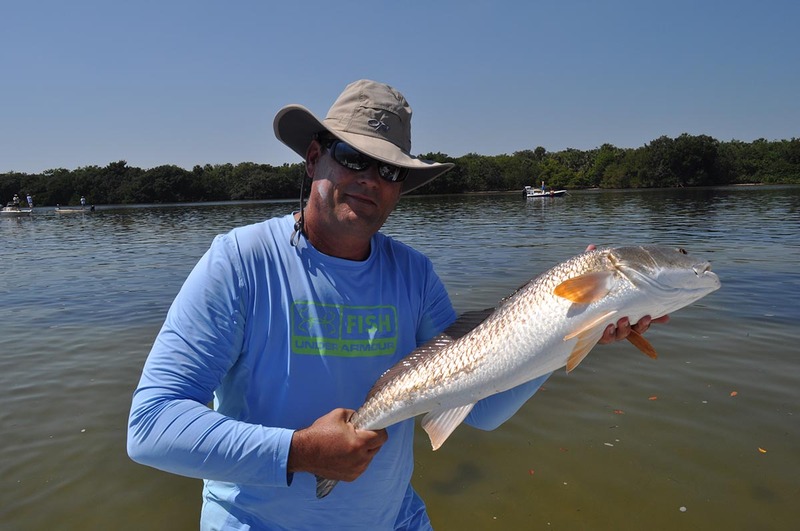 Redfish are strong fighters and travel in schools ranging from 5 fish to over 500 fish. We mainly target redfish in water of depths of less than 3 feet. Redfish are our favorite species for “sight fishing” opportunities. 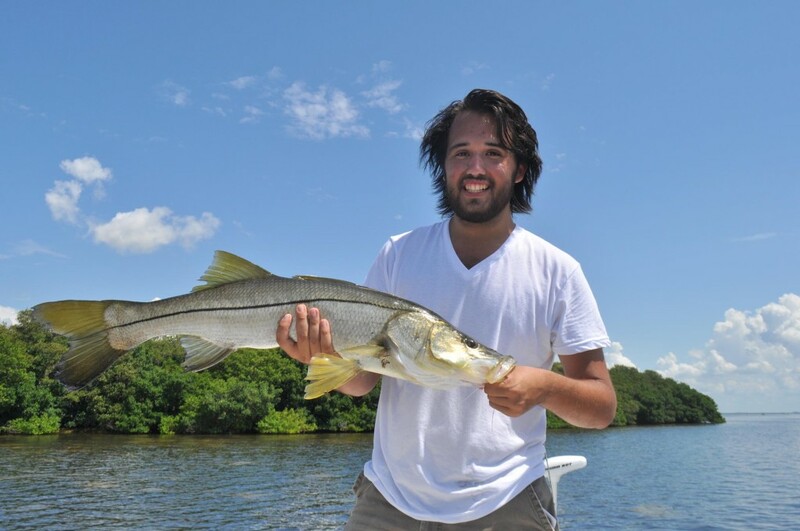 Often dubbed “the most sought-after game fish in Florida”, Snook offer tremendous fights with drag screaming runs. We find these fish along the beaches, the mangroves, and in creeks and rivers. 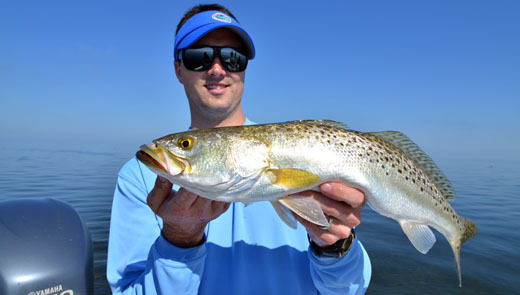 The Speckled Sea Trout is the most abundant game fish we have here in Clearwater. They average in size from one to 6 lbs but don’t let their smaller size fool you! They pack a powerful punch when they strike. And, they make excellent table fare. Clearwater is basically its own Peninsula. On one side you have direct access to the Gulf of Mexico, on the other side is the states largest saltwater estuary – Tampa Bay. In this, this area is home to stellar year-round fishing. Aside from inshore fishing for snook, redfish, sea trout and tarpon – anglers can also expect shots at snapper, grouper and spanish mackerel. Locations such as the stretch from Anclote Key to Fort De Soto Park on the Gulf , and Pinellas Point to Safety Harbor on the Tampa Bay side, allow for some of the best inshore fishing in the state. These mangrove systems, oyster bars and seagrass beds are a year-round residence for snook, redfish and spotted sea trout – which make up the local “inshore slam”.